The first one is made using dot markers/bingo markers. My son dipped the tip into water and smacked it down hard on a piece of paper. 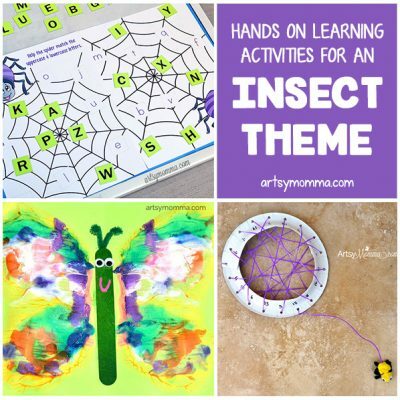 He liked this activity so much that he didn’t want to stop! 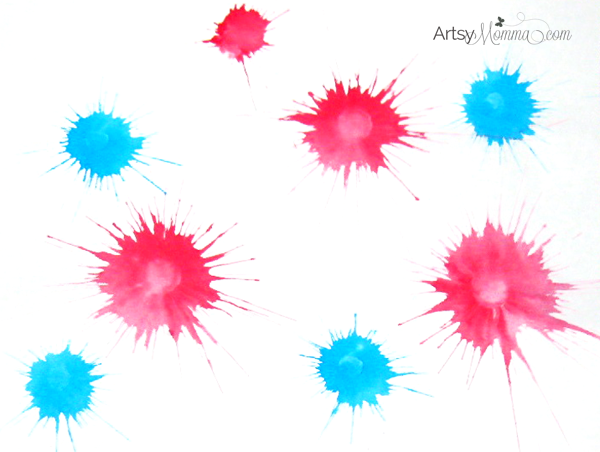 The second craft is inspired by an idea from Preschool Express. 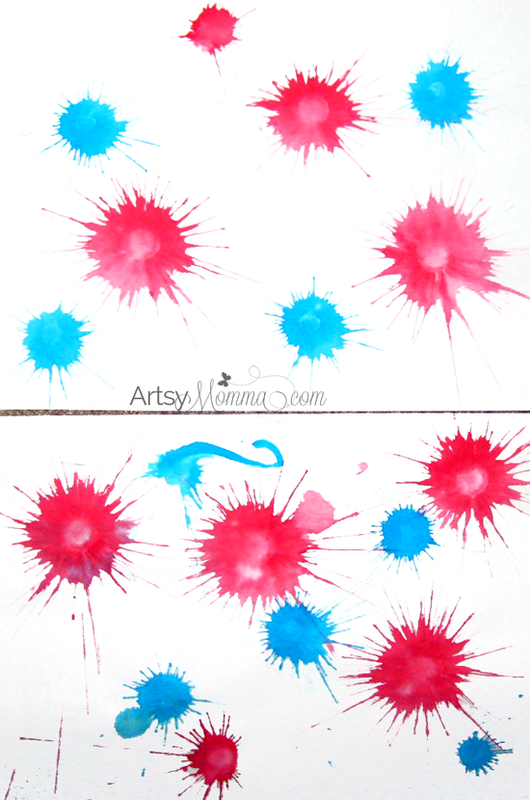 I placed a blob of red, white, and blue paint on a piece of black construction paper. The white one is made by dragging a toothpick through it. This was a little hard for my 3 year old so I placed my hand over his. The blue one is made using a q-tip so my son could make it by himself. The red one is a combination of the 2. 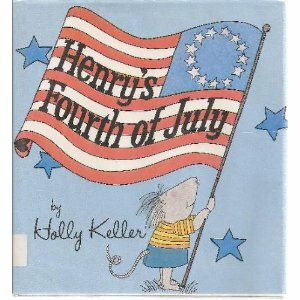 Henry’s Fourth of July (affiliate link) by Holly Keller is about a family 4th of July adventure and the ways they celebrate. 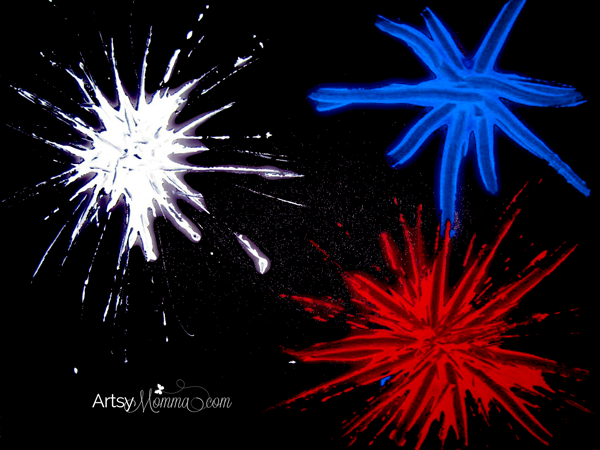 They go on a picnic, play in the pool, watch a parade, play games, and of course watch fireworks. I thought it was a cute book and perfect for my son’s age. 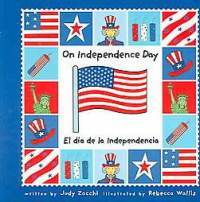 On Independence Day by Judy Zocchi is a short book about the different ways Americans may celebrate the 4th of July. Again, perfect for my son’s age as well as a little older. The pictures are colorful and very relatable to him. fun ideas. I didn&#39;t get any fourth of July books at the library. We may have to go get these on the fifth. oops. Thanks for sharing. We didn&#39;t get 4th of July books this year. I will have to look for these next year.<br /><br />Thank you for linking Read.Explore.Learn. This post counts as an entry in the July edition of the Summer Reading Challenge. 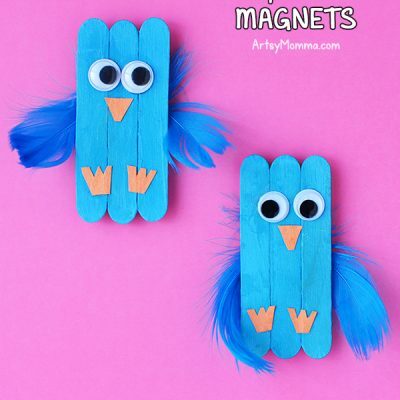 I connected to this craft via Pinterest and we did it today – my 2 yr old and 4 yr old LOVED it. We definitely needed smocks and baby wipes but it was a really big hit. Thanks for posting!